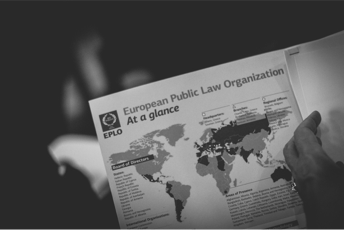 The EPLO is an international organization dedicated to the creation and dissemination of knowledge in the area of Public Law lato sensu and Governance, and the promotion of European values for a better generation of lawyers and democratic institutions worldwide. The EPLO which was established in 2007 in Athens, Greece. In over 20 years of activity, it has developed, organized, promoted and supported more than 200 educational, research, training, institution building and other activities and has provided assistance to democratic institutions in more than 70 countries. The Organization’s work involves four pillars of activity, namely, research, education & training, publications and technical cooperation, each perpetually contributing to the improvement of the other through an integrated approach. 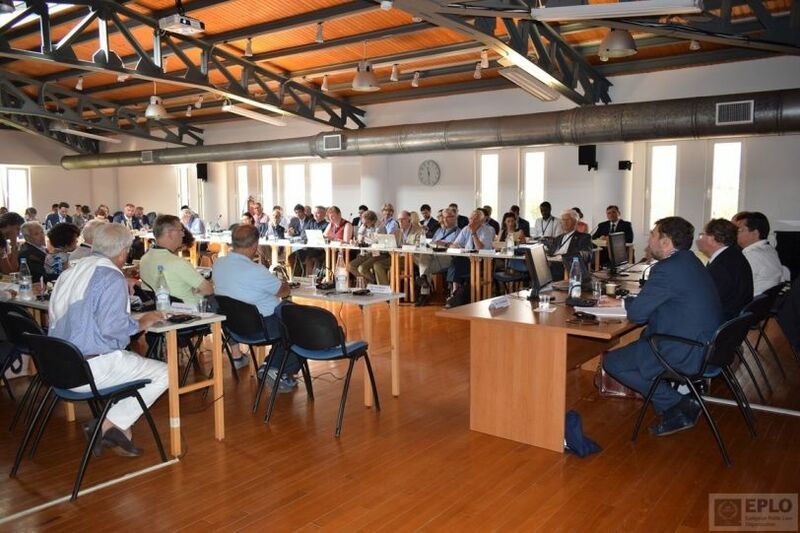 The governing body of the EPLO is the Board of Directors comprised of the representatives of 17 member states, 4 public authorities, and 71 universities/institutions. The EPLO has been granted the Observer Status at The International Labor Organization (ILO), WIPO-World Intellectual Property Organization and International Organization for Migration (IOM). The EPLO was created as an international organization with suitable governance, full international legal personality and status, upon the initiative of the Hellenic Republic, by the “Agreement for the Establishment and Statute of the European Public Law Organization”, signed by several powers on 27 October 2004. The creation of the EPLO became effective in 2007. The EPLO Board of Directors consists of 17 Countries, 4 Public Authorities and 71 Universities/Institutions. 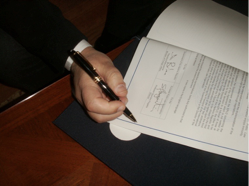 The signatory powers recognized the importance of public law and the need to further promote its scientific, research, educational, training, institution building and other dimensions for a better generation of lawyers and democratic institutions worldwide, and the promotion of European values through public law throughout the world. ■ Maintains close ties with organizations in the United Nations system. ■ Is a founding member of the International Anti-Corruption Academy. ■ Is a member of the European Network of Implementing Development Agencies (EUNIDA). ■ Became a partner in the World Bank’s Global Forum on Law, Justice and Development having endorsed the Joint Declaration and Statement of Commitment on Supporting the Global Forum on Law, Justice and Development. ■ Within the framework of cooperation with the UN the EPLO, has been granted during 2015, the Observer Status at both: the International Labor Organization (ILO), a UN agency and WIPO- World Intellectual Property Organization, a self-funding agency of the United Nations. By cooperating with the European Commission and other international organizations such as the United Nations and the World Bank, as well as being a member of EUNIDA and IACA, the EPLO has developed, organized, and supported close to 200 educational, research, training, institution building and other activities and has provided assistance to democratic institutions in more than 70 countries. In over 20 years of existence and development, the EPLO has implemented a number of projects on the rule of law and democracy, justice reform, institution building, public administration reform, civil society – including civil service reform – all over the world, including Europe, Mediterranean Countries, the Balkan Area, Caucasus and Former Soviet States, Middle East, Central and South Asia, Africa, as well as Latin America and the Small Island Developing States. The work of the EPLO focuses on four pillars, each perpetually contributing to the improvement of the other through an integrative approach. 1. Research: Research is one of the core pillars of the EPLO’s activity, and to this effect it implements and supports scientific research and related scientific publications. The EPLO’s research activities explore policy alternatives and provide technical legal advice to national authorities, addressing a wide range of academic and policy issues within the broad field of public law, including justice reform, public administration, criminal law, women, children, minorities and other vulnerable groups’ rights, victims’ rights, migration and trafficking in human beings, among others. Research studies involve the EPLO’s cooperation with specialized institutions such as the World Bank, the University of Oxford, the Max Plank Institute, the Center for the Study of Democracy in Bulgaria, the National School of Political Studies and Public Administration in Romania, and others. The Academy of European Public Law: Since 1995, the Academy enjoys a reputation as the primary destination for scholarship in public law within Europe’s dynamic setting. The Academy offers study sessions leading to the Intensive International Master of Laws (I.I.LL.M.) in European Public Law or the Certificate of Attendance in European Public Law. More than 500 students have graduated and are currently serving outstanding careers. The Academy of Transparency and Human Rights: Established considering good governance as the basis of progress in society, and the principles of transparency in public activity and the protection of human rights as the basis for achieving good governance, the Academy has programs that take place worldwide and include academic training courses, executive tailor-made training courses and an executive Master’s program. 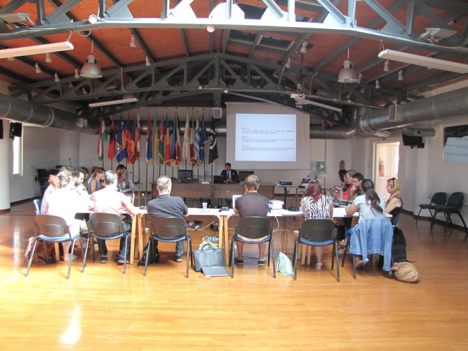 The Global Law & Governance Summer School: An intensive full week program in English, from leading international faculty, with a completely interdisciplinary approach to law and policy. More educational activities include training & cultural institutes the Summer School for Migration, the Internship program, several tailor-made educational programs & events conducted by the European Institute of Management & Governance, the Training Institute for Law & Governance, the Institute for the Mediterranean, the Institute for Justice and Growth, the Institute for Humanities & Culture Nicos Svoronos and the Brčko National School of Public Administration. 3. Institution Building – Technical Cooperation: On the front of technical cooperation, and with funding from the European Commission, Hellenic Aid, as well as other sources such as the European Parliament, the Council of Europe, the World Bank and other Hellenic Ministries, the EPLO has been actively present with its programs, projects and activities in Europe, the Balkan Region, the Caucasus and the former Soviet States, the Middle East Central, South and East Asia, Africa, as well as Latin America and the Small Island Developing States. More specifically, the EPLO has been implementing projects mainly in the fields of Rule of Law (Justice, legal reform, training of jurists), Human Rights (with a specific focus on vulnerable groups-women, children and the youth), Home Affairs, Public Administration, Border, Migration and Asylum, Human Trafficking, Customs, Taxation and Intellectual Property Rights and Environment. 4. Publications: The EPLO publishes quarterly the “European Review of Public Law”, a publication in 7 languages that constitutes an international forum for the analysis and discussion of issues in the development of constitutional and administrative law in Europe. The Review is accompanied by 4 special editions: “European Public Law Series”, “European Papers”, “Academy of European Public Law Series” and “European Environmental Law Series”. It also publishes a bi-annual journal under the title “European Politeia”. Other publications include the periodical “Central and Eastern European Legal Studies”, The Institute of Justice and Growth Series and the Mediterranean Agenda series as well as many stand-alone books. Find out more at www.eplopublications.eu .